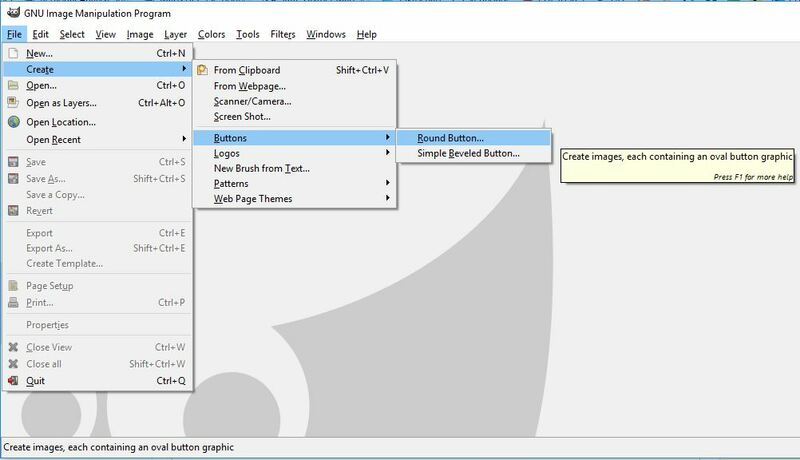 I will use GIMP2 as an example, when instructing a person to create a Round Button as shown in the below image. or even, [File] -> [Create] -> [Button] -> [Rounded Button] if I'm feeling the need to display some flair to my instructions. Is there a standardised or preferred format of representing navigation instructions for the context/toolbar/other menus and options in questions and answers? Personally I use animated gifs along with the first format but no, we have no standards. Why is there no badge for voting to close questions? Is there a policy for or against providing executables and other self hosted downloads? Are there standard comments for reviews? Is there a retirement home for “closed” meta questions? Should there be a tag for MSRPC?